CLEARWATER, Fla. (WLS) -- A man was arrested Tuesday in Florida in connection with an Oct. 18 hit-and-run crash that killed two tourists from suburban Chicago, police in Clearwater, Fla., said Tuesday evening. 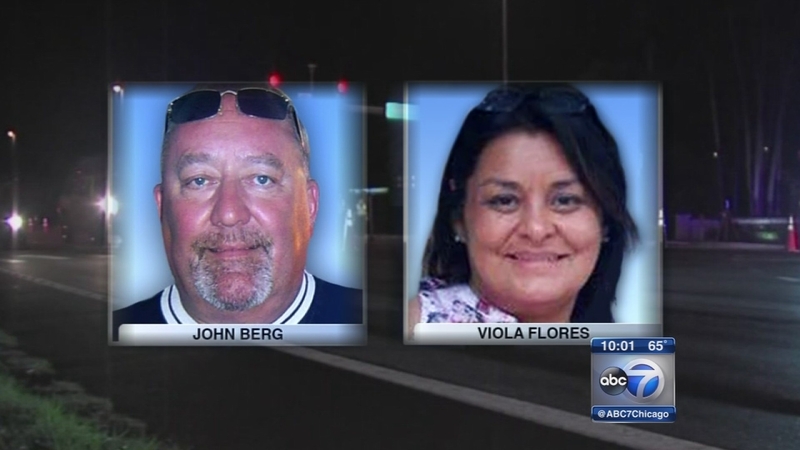 Lake in the Hills residents and friends Viola Flores, 51, and John Berg, 62, were killed while vacationing in Clearwater, Florida. Charles Winzenread has been charged with leaving the scene of an accident that involved death. On Sunday night, the couple was crossing the Clearwater Memorial Causeway on foot when police say the driver of a Mercedes SUV hit them and kept going. Investigators had released multiple surveillance images of the vehicle that allegedly sped away. The Mercedes SUV sustained front-end damage. Winzenread's damaged Mercedes was found inside his garage at northwestern Hillsborough County in Florida. Viola Flores was the mother of two adult children and the grandmother of a baby girl. Clearwater was a favorite vacation spot of Berg, who enjoyed fishing and antique cars. The Algonquin native was a retired mechanic.